In review: College Night 2012 – Teach. Empower. Transform. 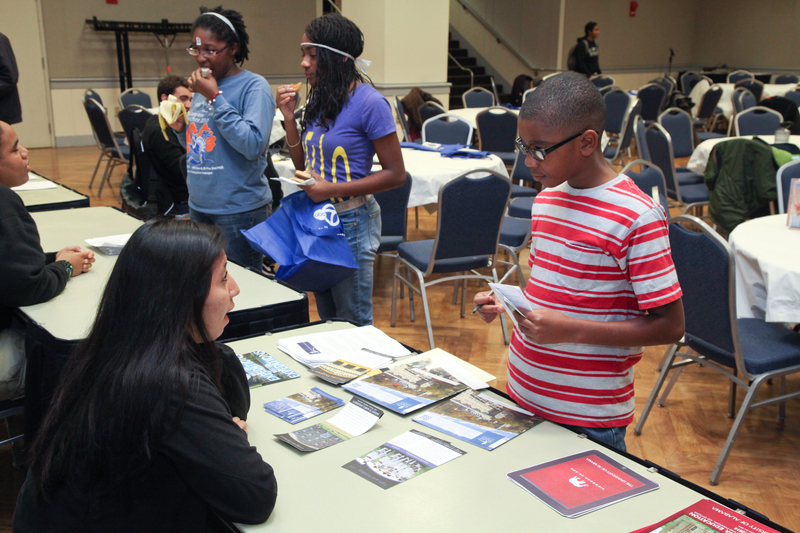 In the middle of December and, for many college students, the middle of final exams, FLOC’s middle school and high school students (and their parents) flocked to the GeorgeWashingtonUniversity’s CloydHeckMarvinCenter for our sixth annual College Night. They were preceded by a number of local professionals in various fields as well as quite a few of FLOC’s alumni who are currently involved in our Postsecondary Scholars program, all of whom had generously agreed to volunteer their time to impart some of their knowledge and experience with those traveling the paths they themselves had already trodden. 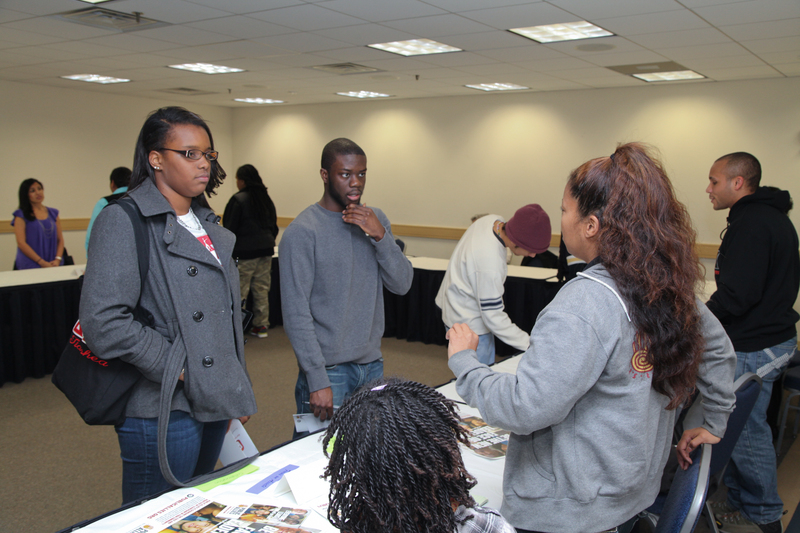 As students and parents began arriving at the center, they were met with the college fair portion of the event, wherein they had the opportunity to speak with FLOC Postsecondary Scholars as well as staff who were there manning stations representing their current colleges or alma maters. 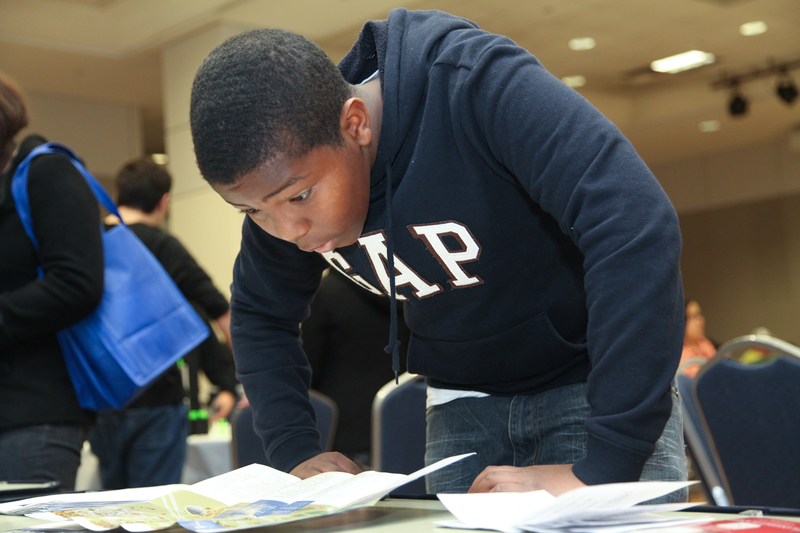 Each student was given a “Passport to Success,” a booklet filled with questions they could ask throughout the entire event, and then, along with the parents attending the event, began visiting those of the approximately 20 campuses represented at the fair which they were most interested in. Middle school and high school FLOC students and their parents had a chance to speak with FLOC alumni currently in postsecondary programs about their takes on the colleges they’re enrolled in, as well as with FLOC staff about their own alma maters. 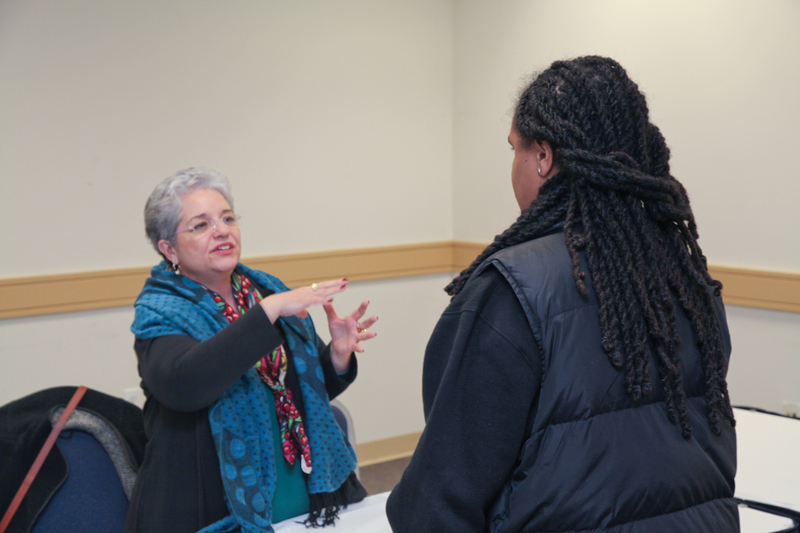 Once the college fair began to wind down, guests were split up into three groups and herded into smaller “breakout rooms” designed to focus on aspects of the college experience that might be most relevant to them. 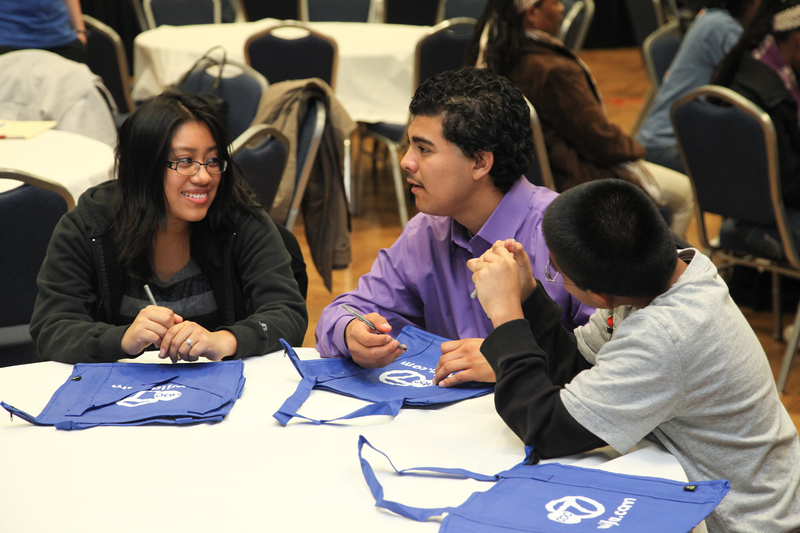 FLOC middle and high school students remained in the ballroom as stations were set up representing some of the aspects of college life and beyond, including admission, financial aid, academics, student life, humanitarian service, and life beyond college and entering into their careers. Students were able to participate in round-table style discussions with current college students, nonprofit service volunteers, and representatives of certain careers about their experiences, and also to learn about financial aid with a representative of a sizeable scholarship fund. They were also able to view a demonstration of a 3D printer (a machine which creates three-dimensional objects by laying down successive layers of material) given by an engineering student, representing one of the many fascinating aspects of the academic experience for, in particular, majors in the science, technology, engineering and mathematics (STEM) fields. 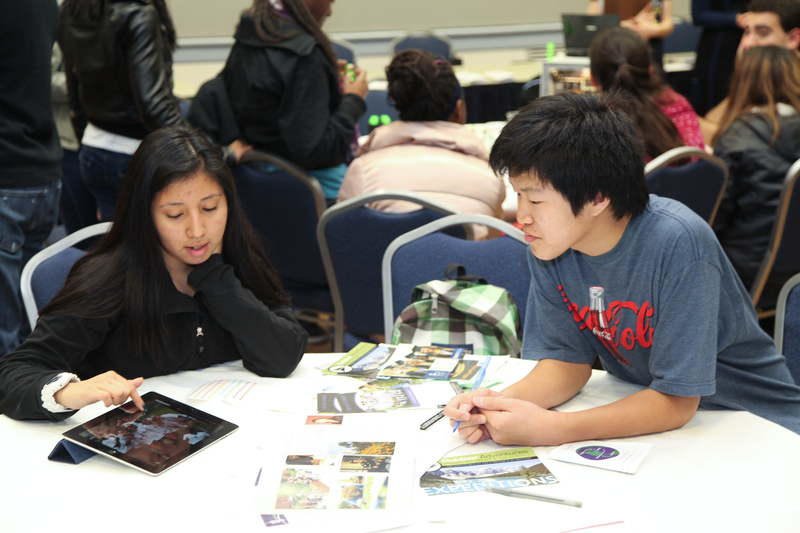 Upper right: A FLOC alumnus uses an iPad to share images representing her college experience with a younger FLOC student. 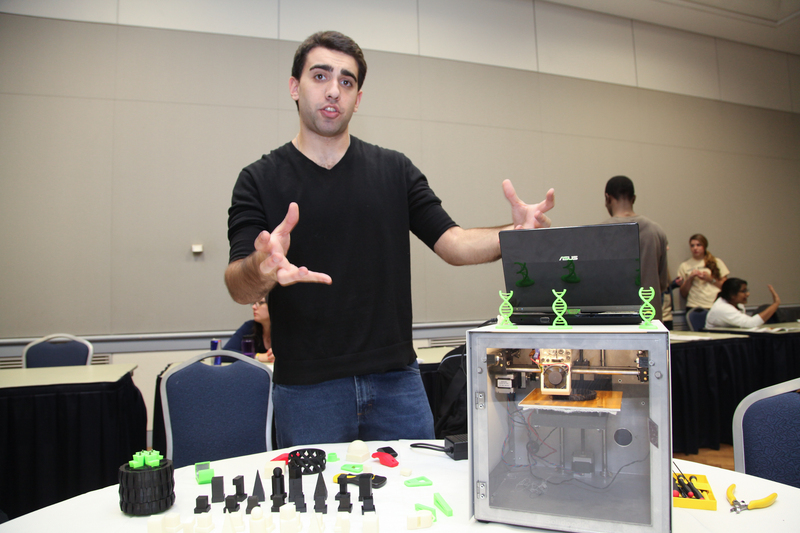 Lower right: An engineering student showcases the 3D printing technology he brought to demonstrate. 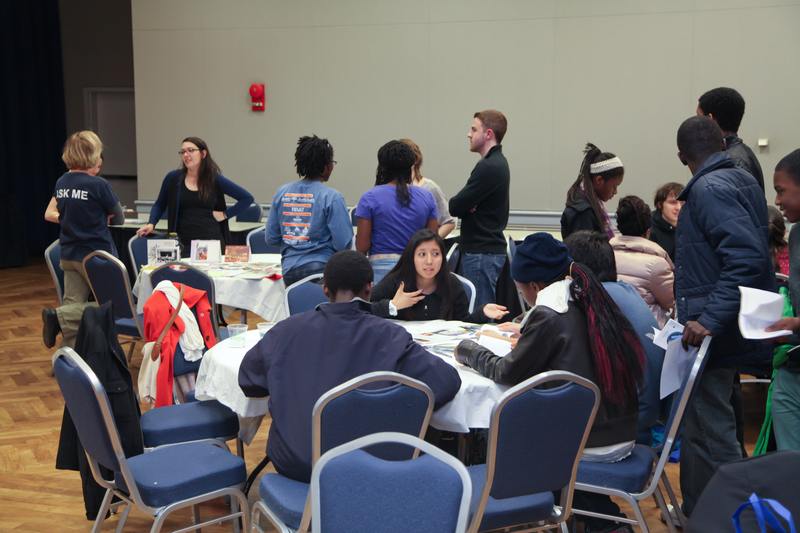 Left: FLOC students cluster around stations to learn more about what to look forward to in the future of their academic careers. 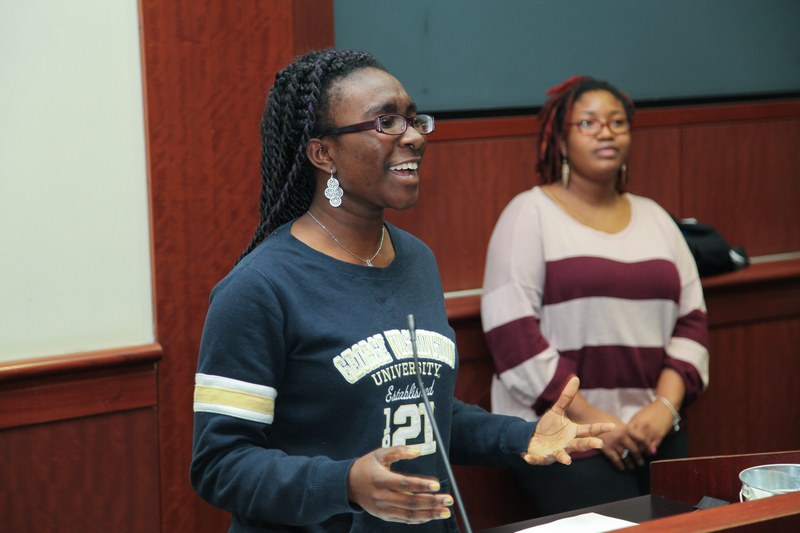 Postsecondary students coming to this year’s College Night went from representing their colleges at the fair to a workshop revolving around answering some of the questions they may have had about preparing for life after graduation. The segment offered them a chance to do some networking with professionals representing many years of experience in a variety of fields, including finance, business management, law/criminal justice, education, and nonprofit/humanitarian service. 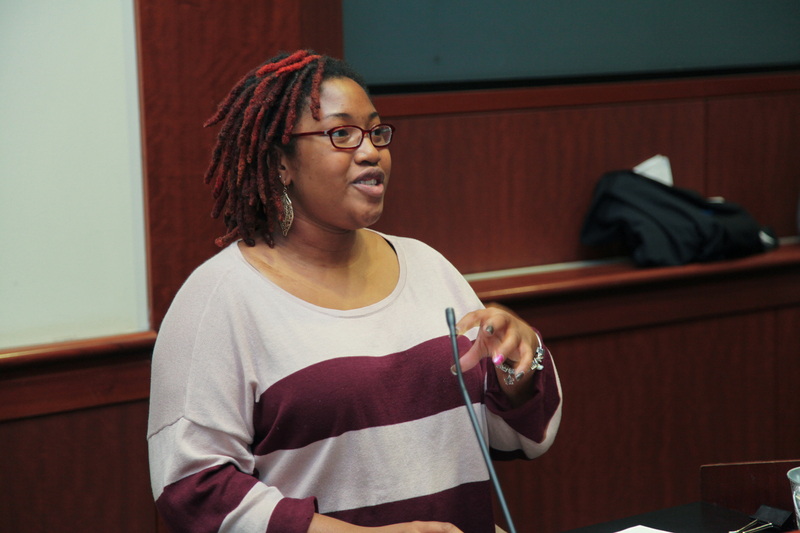 This was followed by a brief presentation and Q&A regarding personal finance issues particularly relevant to students, which was hosted by a representative of a financial holding company with more than 25 locations in the DC metropolitan area. 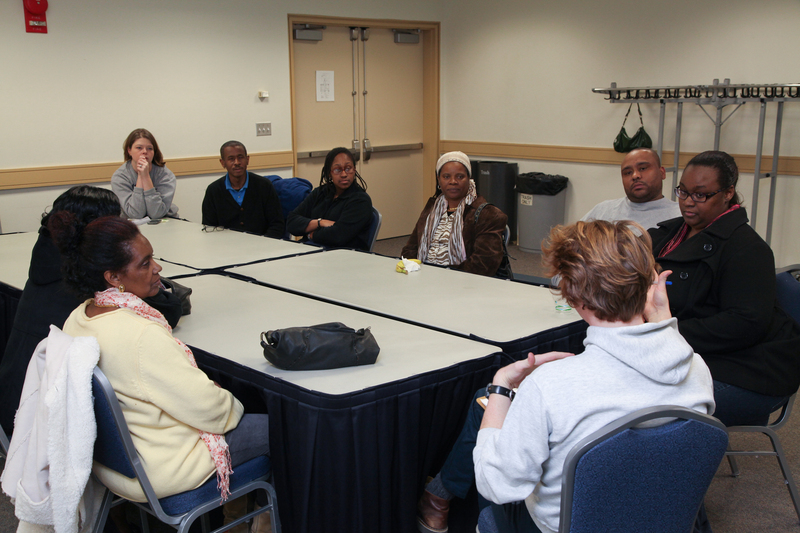 While the students were contemplating their futures, their parents were using this time to learn something from each other about how to help their students through their academic careers in a guided discussion facilitated by FLOC staff. Parents of students who were already enrolled in college found themselves playing a consultative role for others hoping to see their own children do the same. 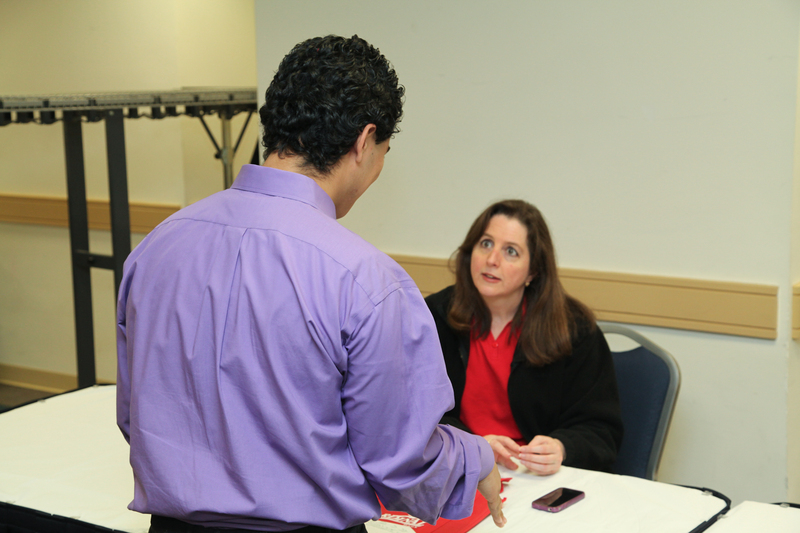 Following the discussion, the rest of their time at College Night was spent covering financial issues, both academic and personal, with a financial literacy educator specializing in credit. After finishing the workshop, students filtered into the amphitheater to hear three of our Postsecondary Scholars speaking about experiences they’ve over the past year which taught them something about surviving college. 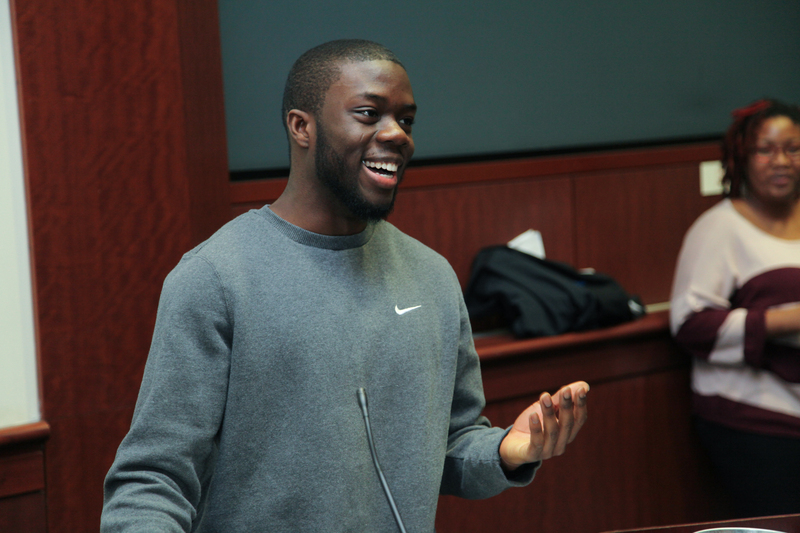 Each student’s experience reflected a different year of college, representing a freshman, junior, and senior perspective on higher education, as well as a different type of four-year college or university. Kelcey is a senior at a public, comprehensive state university. Alicia is a junior at a small, private, liberal arts college affiliated with the United Methodist Church. Samantha is a freshman at a large, private, comprehensive university. 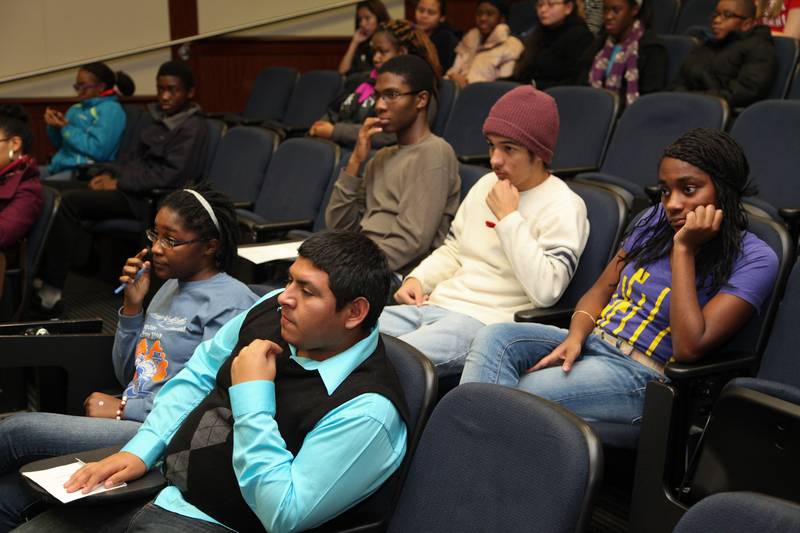 FLOC high school and middle school students during the final portion of College Night 2012. While the format for this year’s event was a bit different than it has been in previous years, students and parents overall seemed pleased with their experience for the evening. We’d like to thank all of the wonderful professionals in their fields and postsecondary students who volunteered for making it all happen! 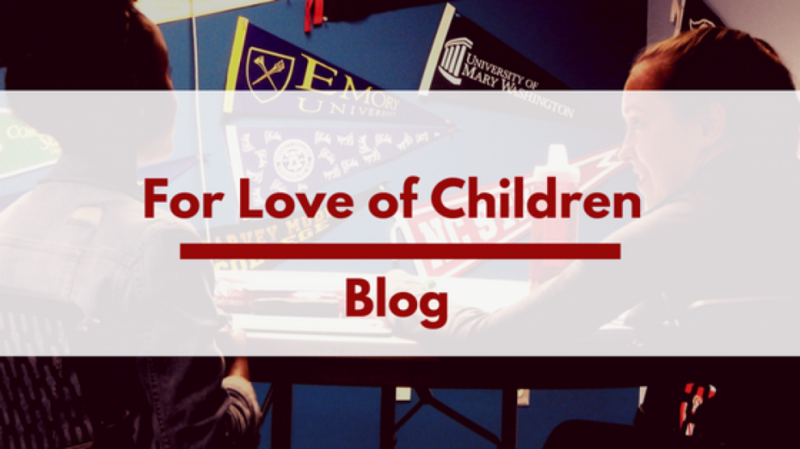 (Andrea Julca is the Postsecondary Scholars Coordinator at FLOC).